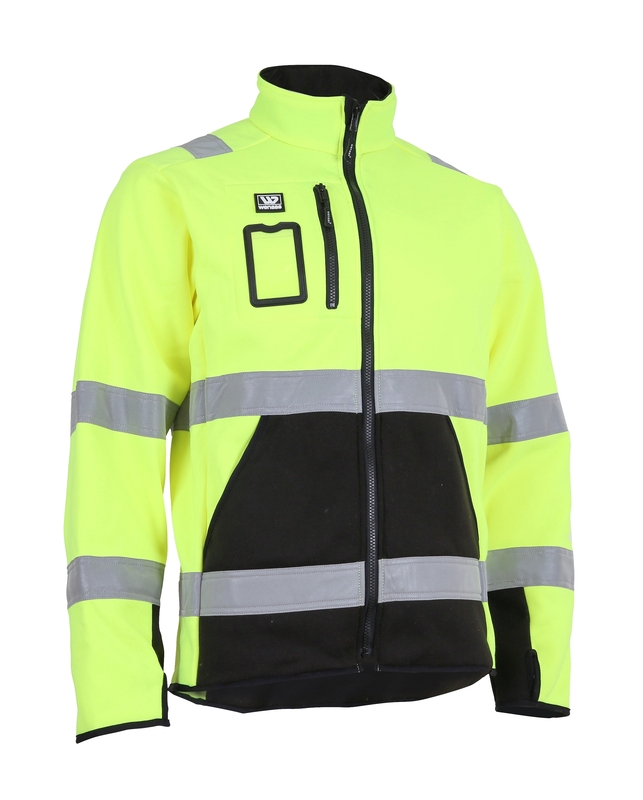 Power Fleece quality, flat knitted surface makes it more resistant to dirt than traditional fleece. Zip at front. Reflective tape on shoulders, around waist and sleeves. Two slanted front pockets in black. Chest pocket with zipper and ID pocket. Sleeves with black bars on the inside of the wrist, thumb grip at the bottom. Extended backpiece, with field in black.